BeSweet Desserts hand-makes and sells the traditional Brazilian truffle, Brigadeiro, bringing a unique flavor to vendors in Lynchburg. 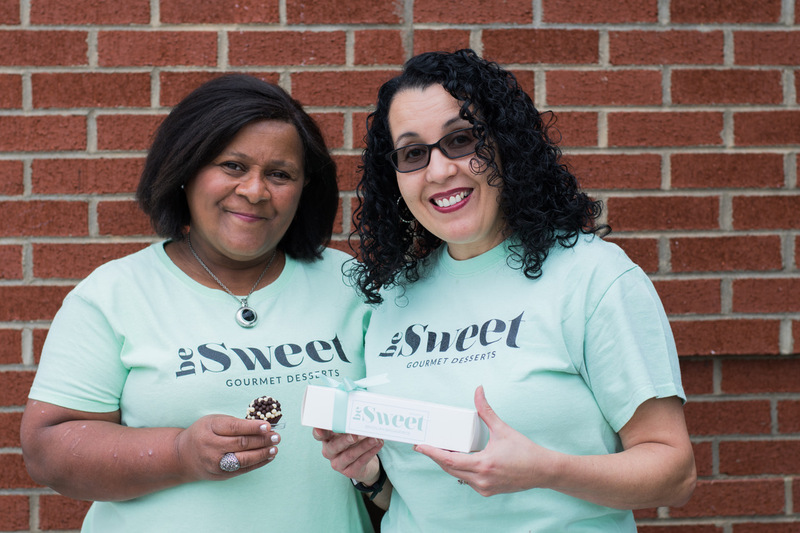 More than just sharing their culture with Lynchburg, Glaze and Moitinho agreed that BeSweet Desserts allows them to share their faith as well. They have the opportunity to show kindness and love to customers and other vendors. On some occasions, they have been able to invite people to church and pray for them. “One of the reasons why Denise and I work so well together is because we have one common goal: to glorify God in what we are doing,” Glaze said. Moitinho and Glaze have been friends for over six years and were brought together by Liberty University. Moitinho first began taking online classes to pursue a graduate degree but ended up moving to Lynchburg in order to teach in the School of Behavioral Sciences while still a student. Glaze pursued a degree in church ministry and graduated in 1992. Each member of the partnership plays a unique role: Glaze comes up with new and enticing Brigadeiro recipes, while Moitinho focuses on managing the business end. As Moitinho grew a passion for empowering others while at Liberty, Glaze said her degree taught her a strong work ethic, assuring her that she could face the challenges of being a small business owner. “(I thought), ‘If I can graduate college, I can do this, too,’” Glaze said. For these business owners, faith and enterprise go hand in hand. Moitinho explained that most businesses focus on the product, process, and people involved, but BeSweet adds a fourth ‘p’: prayer. “If Eliete and I want BeSweet to be more than a source of income, but a way to add value to our community and empower others, then we must believe that prayer will take us there,” Moitinho said. From becoming a vendor at the Lynchburg Community Market to catering weddings and events, Glaze and Moitinho accredit their successes to God. “Since we have begun our business, we have seen the Lord opening new doors for us,” Glaze said. “Whether I am running a classroom filled with students or a small chocolate-truffle business, my main goal needs to be to make Christ known and glorified,” Moitinho said.